ElmWood Flooring is a realtor’s dream come true, by being the best company in construction business. We help Real Estate SELL! ElmWood Flooring with having an eye for detail and quality craftsmanship provides nothing but the best! ElmWood has works with residential and commercial builders specialized on working with any and all NON-UNION projects/builders. ElmWood is the best way to keep your customers happy while keeping insurance claims as low as possible. 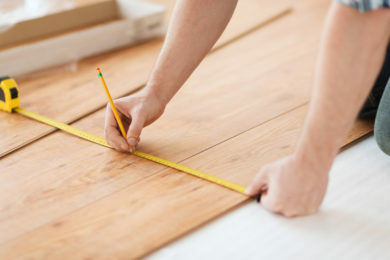 Chicago construction services that are provided by ElmWood Flooring goes well beyond just flooring, as you will find out, we make sure all of the work we handle is done by professionals and that our customers are satisfied with the work performed in their homes or businesses. EWF holds the highest standards in our industry and has the best Warranties around, with keeping up on new tools and materials that come out, so that we are always on the cutting edge with the newest and latest technology. ElmWood has been satisfying customers since 1976 when established and learned over the many years all that there is to know about all types of different construction and the positive feed back we have gotten from past customers over the years. No matter if it’s Trim work, doors, walls, ceilings to floors we handle it all. Carpeting, Tile, hardwood, Pergo, custom design, inlays, bamboo floors and red oak, white oak, maple, cherry and many others, If you can dream it! Most likely we can help your home dreams come true! Also please remember, If we can’t do something for you, we will tell you up-front and also help find the right contractor or company for FREE, at no cost to you, if your project is not something we handle., We deal with and have many friends in the Trades Business and can either point you in the right direction or pass along your information so that they can contact you for an estimate. Call today! 773.209.7499 or E-mail for a no-hassle FREE phone quote and tell us about your exciting home or business project that you would like to have done and see how we can help your dreams come true by making your home or business look it’s best now and into the future. Home Remodeling & much more! Snow Removal Services., 24/7 From December – March or when it snows. Residential Snow Removal – (Steps/stairs, small driveways & all sidewalks, around cars for a extra cost.